With Juju 2.0 around the corner we’d like to dedicate this month’s tips section to Leadership. In the Juju context when we say Leadership we mean the Leader election concept as defined for distributed computing. Leadership election provides you (as a charm author) with a means of querying the various nodes of your service for leadership status, setting status, and ensuring that all your units are in a consistent state with regard to an authoritative source for charm configuration settings. We’ve had documentation for how to use leadership in your charm for a while now, however with the advent of the new layer based approach for charms, we felt now would be a good time to show you the leadership layer. Like all layers, it removes the need to manually write your own hooks. You can find the rest of the tutorial in the layer README file, which includes instructions on how to get started and advanced usage. You can find this layer, along with dozens of other reusable layers on interfaces.juju.solutions. If you’re interested in contributing layers, or reusing layers to make your charms simpler and easier to maintain, let us know. The Charm Partner Programme is excited to welcome Spicule LTD and WANdisco. Spicule offer application modelling and deployment service. Spicule can help migrate existing applications on or off premise, provide training to your system administrators or manage the systems themselves. 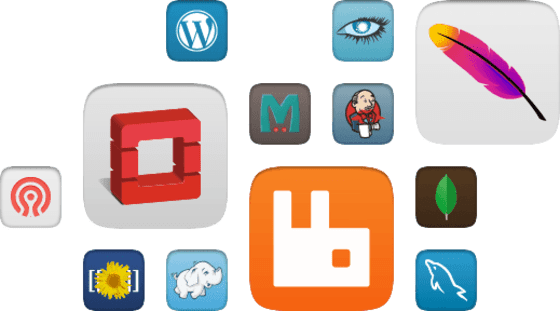 Spicule also offers development services for companies who use or are considering using the Juju platform and require software not currently available in the charm store to be made available to their platform. The Canonical team will be travelling to Austin, for the OpenStack Summit – a four day conference for developers, users and administrators of OpenStack software. me ahead of time and we’d love to have you onboard. Over 100 Juju enthusiasts gathered this week for our second Juju Charmer Summit in beautiful Gent, Belgium as part of the Config Management Camp. Check out our summary of the event and don’t forget to watch our video sessions online.